Xi Jinping was officially confirmed last week as China’s president, and with that, here’re some photos of Xi in his early days, no doubt carefully selected but still worth a look. There’s a few photos of him as a young university student and with his family. I must say, he’s got some big smiles in most of them, which suggest he might truly be jollier and down-to-earth than other Chinese leaders such as his immediate predecessor. BBC has a decent article about China’s departing leaders Hu Jintao and Wen Jiabao, the ex-Premier. What did they do, it asks. On the surface, this might seem easy to say as the two didn’t exactly oversee any spectacular achievements. But they did oversee a growing economy that saw GDP per capita grow more than fourfold and weathered the 2008 financial crisis, a spectacular 2008 Beijing Olympics, and significant strides in ties with Taiwan. No doubt, there were some negatives as well, such as growing socioeconomic inequality and a reduction in personal freedoms. I do agree with the article’s conclusion- it is still too early to draw a conclusion as the results of their rule will be seen in the following years. I’ve been steadily following MMA (mixed martial arts) for several years, mainly UFC because it’s by far the biggest league, and it’s cool to see it growing in popularity in North America, Europe, and East Asia. The Economist has a short piece about MMA in China. MMA has been surging in popularity for some time in the US, Canada and Europe, not to mention it used to be big in Japan, and there’s hope that it’ll grow in China too. China has had one fighter fight in the UFC, Zhang Tiequan, who unfortunately is on a three-fight losing streak. The Economist piece reports about a big MMA event in Inner Mongolia, where one of the champions won 1 million yuan, a significant amount of cash for a young sport in China. Yet one consequence of MMA’s popularity is the decrease in interest in traditional martial arts, specifically kung fu, claims the Economist article. The piece doesn’t go into much detail about this claim so it’s not for certain. The Global Times also has a good article about the obstacles in China facing growing MMA , with Zhang being interviewed in the article as well. Besides domestic promotions, Chinese MMA fighters also fight in Asian such as Legend FC and One FC. 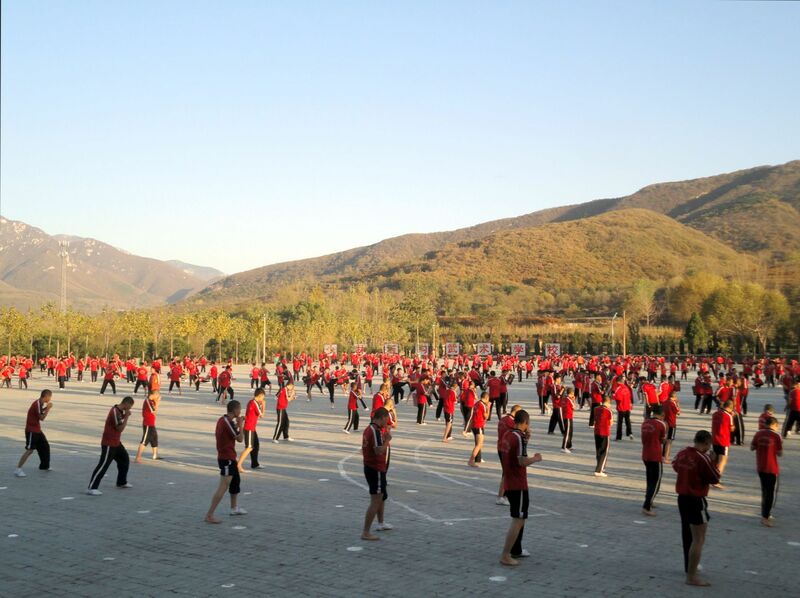 For these youngsters in the famous Shaolin Temple in Henan province, kung fu is still definitely big. Burma used to be considered one of China’s allies. Diplomatically shunned and isolated by the West, Burma could usually rely on China as a steadfast economic and political partner. Now, with Burma’s opening up and the resurgence of ties to the world, it seems China is not considered such a good friend anymore. Apparently, this was a big shock to China, claims a Burmese official in this Atlantic piece. A brutal but touching video about the crushing reality of MMA (mixed martial arts). It’s a good tribute to these fighters who put so much on the line for fans like us, and often end up getting their faces smashed, bones broken, and bodies battered. Last week Thursday, basketball sensation Jeremy Lin suffered his worst game as a starter as the Miami Heat limited him to just 8 points and 3 assists and forced him into 8 turnovers. While this doesn’t mean he’s not as good as previously thought, it makes him a little more human and forces the hype to die down a little. I don’t have anything against him because he’s been so humble and decent and he’s been consistent enough to be more than just a flash in a pan. His rise in the past 2 weeks has been unbelievable, from putting up last-second game-winning threes,scoring 38 on the Lakers, regularly posting up 20 and 8, and playing well even when they lose, leading the Knicks to go 9-3 since his first breakout game Feb. 4 against the Nets. The few games when he didn’t score that much were ones when he got taken out in the 3rd quarter because the Knicks were up by 20-something. Granted some of those teams the Knicks played were weak, but are they really so weak a guy can come out of nowhere and make it look so easy, even amid a media spotlight so unrelenting and persistent and not even limited to his continent? And this isn’t even including the stupid media puns about his name, including the obvious and popular one which is kind of a ripoff of the nickname of a former Toronto Raptors star. -China has got to be wondering why for all the big men, the Yaos, the Wang Zhizhis, they’ve had play in the NBA, they have never had a guard anywhere as good as Lin. Can you imagine if China had a Jeremy Lin playing point guard alongside Yao in his prime? Now, not only is Lin blowing up the NBA, but his parents are Taiwanese, for goodness sake. -There’s no doubt that Lin has become incredibly popular with Asian-Americans and Asians. It’s not surprising. There are hardly any popular full Asian-American athletes (so sorry, Hines Ward, Tiger Woods, Johnny Damon et al don’t count though Dat Nyugen would), especially in team sports. The NBA is one of the most popular leagues in North America, and the world. Then Lin’s success itself is a good story, whether he was white, black or Latino. But what strikes me is that the enormous pride in Lin by his fellow ethnic Asian-Americans also demonstrates that there’s a kind of insecurity among this community. I’m not American but I can understand why they would feel pride in Lin. But I find it hard to believe that Asian-Americans still haven’t been able to overcome barriers in sports or other forms of pop culture like movies and music in America. I’m sure that Asian/Chinese people elsewhere such as in Trinidad probably harbor this insecurity but in North America, Asians have definitely got the numbers to break out and be successful in many areas. -Despite both of his parents being from Taiwan and his Taiwan relatives boldly proclaiming his “Taiwaness” as opposed to being “Chinese”, Lin has wisely sidestepped this political and sociocultural minefield. I believe he’s even said that he’s from Taiwan but he’s proud of being Chinese. I know he’s not claiming to be from China, but at the same time, it means he’s not willing to disclaim any association with China. It’s kind of hilarious how obsessive Taiwan, and China to a lesser degree, has been over claiming Lin. Which brings me to my next point. -One of the really great things about Jeremy Lin is how humble and decent seems. Even from his high school photos, he doesn’t seem like the ultracool jock athlete who feels he’s better than everybody around him. He’s this gawky, slightly nerdy-looking guy who just happens to be a great ball player. It’s ironic because his humble and down-to-earth nature very likely would not help him fit in in a Taiwan where style is much valued over substance. Switching to a Chinese ahtlete, UFC 144 wasn’t very good for Zhang Tiequan as he was knocked out by a great right overhand punch from his Japanese opponent Issei Tamura in the second round. It wasn’t going well for him before that. This is Zhang’s first loss by knockout but he is now 2-3 since fighting in the US. It also wasn’t a good event for Japanese fighters as big names like Yushin Okami, Yoshihiro Akiyama, and Norifumi “Kid” Yamamoto all suffered losses. This Sunday, Zhang Tiequan will take on Issei Tamura at UFC 144 in Japan. Coincidentally, while Zhang is Chinese, Tamura is Japanese. It would seem like a very fortuitous matchup given the location and the fact Zhang is the only Chinese fighter in the UFC or any other major MMA (mixed martial arts) promotions. However, his original opponent was an American, Leonard Garcia, who then pulled out due to injury. Zhang hasn’t fared too well since fighting in the US, but his losses have come via decisions, meaning he fought to the end. This is a decent breakdown of Zhang’s recent fortunes and the matchup with Tamura. Hope this Saturday Zhang will come out with a win. The main event of UFC 144 will be lightweight champion Frankie Edgar taking on Benson Henderson while Quinton “Rampage” Jackson fights Ryan Bader. The UFC is setting its sights on China, traveling the same path trod by other sports leagues like the NBA, NFL, European soccer leagues, and even US college football. No doubt, China is an enticing prize, with a potential market of hundreds of millions of viewers, if not a billion, and countless revenue. Yet, in some ways this is a mirage because one, those hundreds of millions of customers may not materialize especially if your product is not captivating or attractive enough, two, even if there are, there’s no guarantee of their disposable income being adequate. 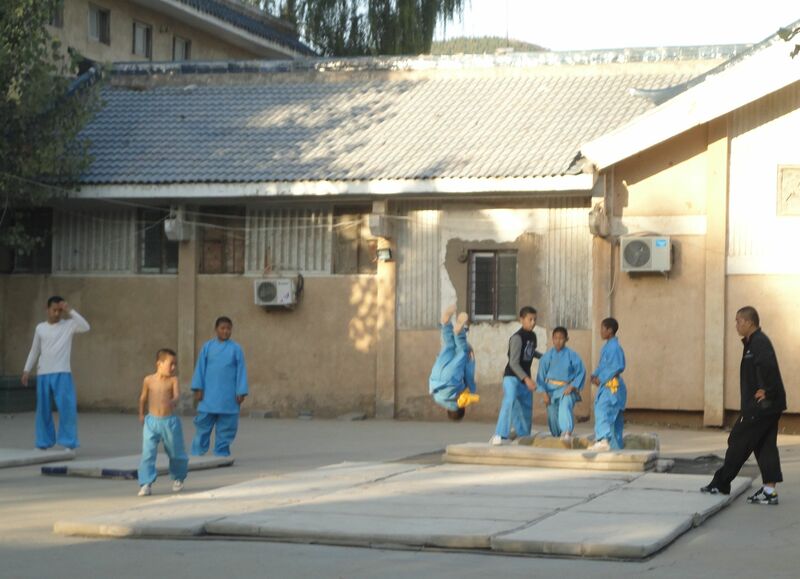 Anyways, here’s another take on the UFC camps in China and its goal to establish a presence in China. And speaking of China and MMA, Zhang Tiequan is set to fight in UFC 144 on Feb. 26 against Leonard Garcia. I know the news is old, but somehow I missed it. Zhang, who had a disappointing decision loss in his last fight last October 8, hopefully will get back on the right track. However, Chinese MMA isn’t only Zhang. I only recently heard of Legend Fighting Championship, a Hong Kong-based MMA league that features Asian fighters, and their next event in February will indeed, feature Chinese fighters in a championship fight– the interestingly named Jumabieke Tuerxun (he’s Chinese but ethnic Kazakh) versus bantamweight champion Yao Honggang. It’s obvious to anyone who knows a lot about or has visited China that despite its status as the no. 2 economy in the world and its reputation as a future superpower, it’s far from being a rich or developed nation. Its giant population and various problems make this a difficult challenge to achieve in the near future. However what it has managed to achieved in socioeconomic outcomes, is to be far ahead of fellow Asian giant India in many regards, which is shown here in a very clear manner. In things like adult literacy rates or Internet users or GDP per capita, China not only has higher levels, but are literally years or even decades ahead. Unfortunately China’s lone MMA fighter in the UFC Zhang Tiequan lost on Saturday at UFC 136. Taking on American Darren Elkins, Zhang was dominated and while he avoided getting knocked out or submitted, wound up losing by unanimous decision.